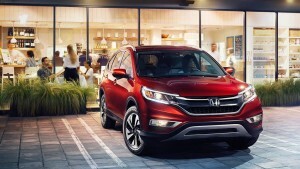 The Honda CR-V is an impressive compact crossover SUV. This vehicle is one of the classics in the #Honda lineup. It sells nearly 400,000 units per year. The car’s main competition include vehicles like the Ford Escape and the Toyota RAV4. Crossover SUVs have become more popular in the last year. Many markets have seen an increase in this category more than any other. The numbers for this kind of vehicle are higher than midsize cars. This recent growth and popularity of the segment has caused Honda to adjust their production plan for 2017. Crossovers provide drivers with better fuel economy and a better ride with the latest technology. Reports have shown that they are the vehicle of choice for the majority of female buyers. Honda added new standard features to the lower trim levels, making the car an even more attractive choice. The car is more upscale than many of the other vehicle in the class, while remaining affordable. The interior has been improved with more soft touch materials that add more refinement to the cabin. The new technology that has been added take the car to the next level. 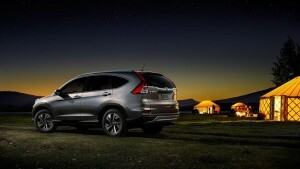 The Honda CR-V is growing in popularity because of the versatile nature of the car. It is a great choice for any driver looking for options. If you are interested in a new Honda and want to check out what they have to offer, come see us at Formula Honda. We have lots of choices and a staff that can help you with whatever you need. For more information about what we have to offer, check out our website at www.formulahonda.com.